This month, a number of translators, editors, and Lusophiles will be gathering in London to discuss the titles chosen for this year’s And Other Stories Portuguese Reading Group – which, for the first time, features an all-Brazilian lineup. In the second blog post discussing this year’s texts, Rahul Bery talks about José J. Veiga’s 1971 novel Sombras de Reis Barbudos. The first novel from the 2018 And Other Stories Portuguese Reading Group to be discussed on this blog, Noite dentro da noite, was in part an exploration of its author’s memories of growing up under Brazil’s long, brutal and repressive dictatorship of 1964-1985. 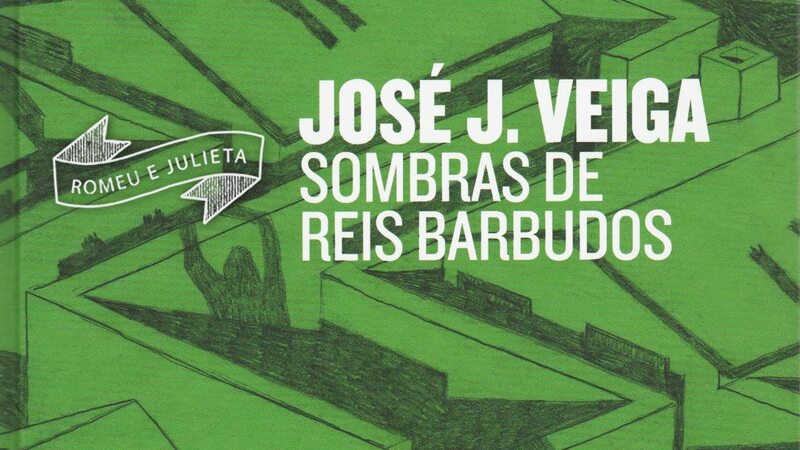 This week’s book, José J. Veiga’s Sombras de Reis Barbudos (Shadows of Bearded Kings), was published 7 years after President João Goulart’s democratic government was deposed in a military coup, and the novel is clearly, on one level, a direct response to these events. How can we ignore these factors when looking at a novel in which a nebulous Company arrives in the town of Taitara, promising prosperity and employment, but bringing with it repression and brutality in the form of countless imprisoned men, enormous walls built along every street, and arbitrary bans on everything from binoculars to pet-keeping? How can we interpret the citizens’ responses to this repression, from looking up at the sky when the walls impede them from looking anywhere else to literally taking off in flight, as anything other than a powerful metaphor for the spirit that all the uniformed generals in the world cannot crush? Especially when political allegory had of necessity become fashionable in Brazilian letters at the time? It’s also difficult to ignore the fact that Veiga is a Latin American writer, born in the first quarter of the early twentieth century and given to injecting fantastical elements into his narratives, A Hora dos Ruminantes was published in English in 1970 (as The Three Trials of Manirema), in the same year as Garcia Marquéz’s epoch-defining One Hundred years of Solitude, and reviews of the English translations place him firmly within the ‘magical realist’ context. And it’s true, Taitara, with its deliberately unclear location and the seemingly timeless genteel poverty of its residents, could easily be a version of Garcia Márquez’s Macondo, transplanted to the vast Brazilian interior. Yet Veiga himself refused to accept either label. He admitted that his writing was affected by the political climate around him but stated that he was not content with ‘merely denouncing an oppressive regime’, preferring to describe ‘situations more profound than those imposed by a poor excuse for a government, made up of tin soldier generals whose names the nation will rapidly forget’. He also rejected the influence of his Spanish-speaking contemporaries, claiming not to have read the likes of Garcia Marquéz or Borges until long after he began publishing in his forties. Anyway, he was right: Sombras is so much more than mere allegory or fantasy. Formally, it is as much a bildungsroman as anything else, with its adolescent protagonist, Lucas, looking back at the arrival of the Company —initially managed by his well-liked and charismatic Uncle Baltazar— in his town. As with the wider historical context, the period of time over which the novel’s events transpire is never clear, and though Lucas starts the narrative as a pre-pubescent boy and ends it on the cusp of adulthood, time doesn’t seem to act in a predictable way, and his innocent, childish outlook stays with him throughout. Veiga weaves humour and irony into Lucas’s narrative with a light but masterful touch, so that minor events such as his involvement in the school theatre troupe get just as much attention as more serious occurrences. Lucas’s naivety, enthusiasm and devotion to his parents also has the effect of humanising the tragedy —and the drudgery— of living under oppression. True to Veiga’s insistence, Sombras is as penetrating and truthful a reflection of the agonies and mysteries of adolescence as it is an allegory about how easily fascism can take root, and how it punishes those who dissent. Ironically, Sombras was published when the dictatorship was at its most popular. The country was experiencing what came to be known as the Brazilian Miracle, with sustained growth at around 10%, and this economic success was crowned by the country’s third World Cup victory in 1970. Veiga saw beyond the oft-repeated mantra, also seen in Anglo-American attitudes towards Pinochet’s Chile, that the brutality of military dictatorships can be justified by the economic stability they were said to bring, to create a wonderfully entertaining, moving and thought-provoking work of literature that, as he predicted, has endured three decades beyond the end of the dictatorship, and into a new potential dark age for his country and the world. I was not at all surprised to learn that Veiga’s novels were very popular in communist Czechoslovakia, nor that rights to Sombras have just been acquired in Erdogan’s Turkey. And anyone who has followed events in Brazil over the last few years will understand the timeliness of the novel being reissued in 2015 by the country’s largest literary publishing house, Companhia das Letras. And most of all, in a world where civil society and basic human rights to dignity and privacy are being threatened as much by powerful corporations —such as the Taitara Company— as by governments, Sombras needs to be read now.